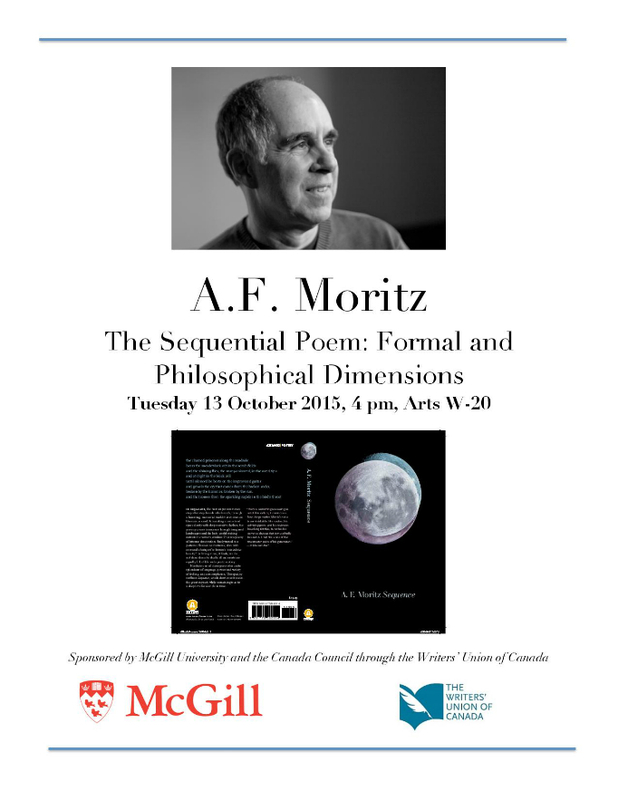 As part of my visit to Montreal next week, I will be delivering a lecture on the campus of McGill University entitled The Sequential Poem: Formal and Philosophical Dimensions. This lecture, which is sponsored by McGill University and the Canada Council via the Writers’ Union of Canada, will take place on Tuesday, October 13, at 4:00 pm, in Arts W-20 on the McGill Campus. And here’s a printable PDF for you to share with friends or poster at will. Montrealers, please join me for this event as well as my Résonance reading in the evening. Will this lecture be recorded and/or available online? I will have to get back to you on that one, Jessica!